Well this is a shocker! 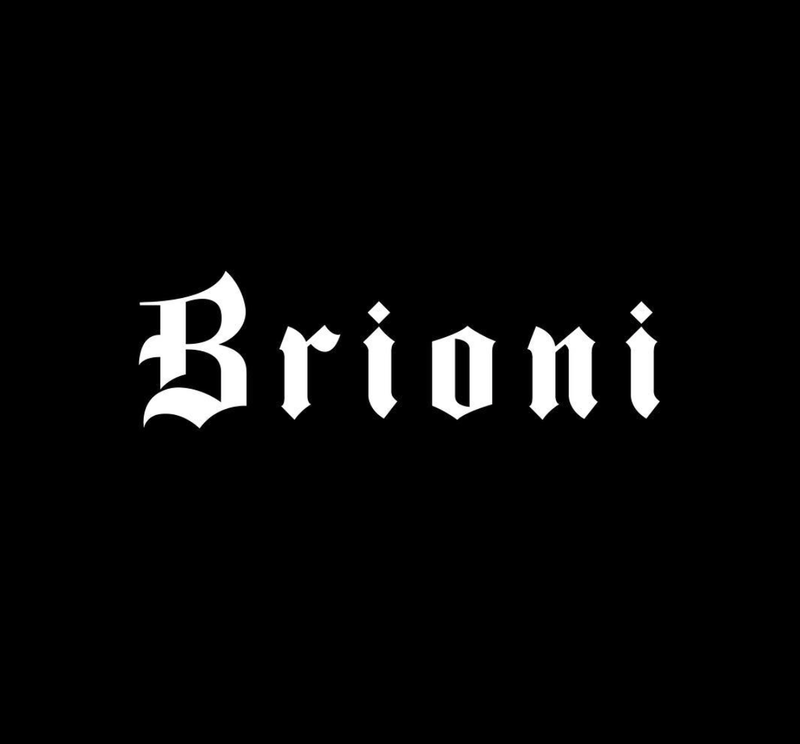 After only 7 months, traditional Italian menswear tailors Brioni are already parting ways with Creative Director Justin O'Shea. 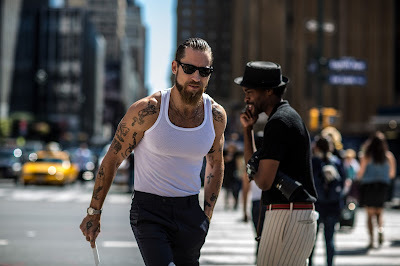 Back in March, when O'Shea was announced as Creative Director for the very old-fashioned label, it was generally perceived as a bold move to rejuvenate the brand and appeal to younger audiences. 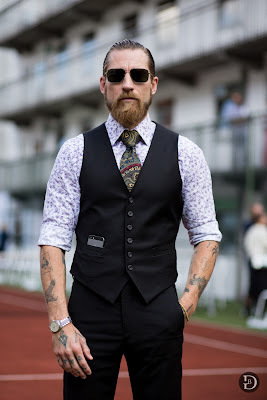 Many believed that O'Shea, who had no formal training in fashion but rose to fame as global fashion director at luxury e-tailer MyTheresa and through his high-profile relationship with Fashion blogger Veronika Heilbrunner, was an unconventional choice for Brioni's synonymous image as one of the finest menswear tailors. Moreover, the Australian Influencer is known for his loud rockstar style which somewhat contradicts Brioni's classic menswear aesthetic. This got particularly visible when Brioni announced it would change its logo to a Motörhead inspired font and modeled members of rockgroup Metallica as testimonials for O'Shea's first collection. 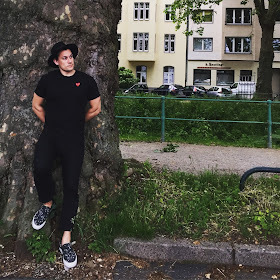 While the Marketing stunt created a lot of buzz and got people talking, it received mostly negative feedback and felt like a desperate attempt at reclaiming relevance in the fashion market. Moreover, the brand put its public image on the line and risked alienating its traditional customer base. This became even more ovious with O'Shea's first collection "Paris One", which was loud, eccentric and not particularly focused. 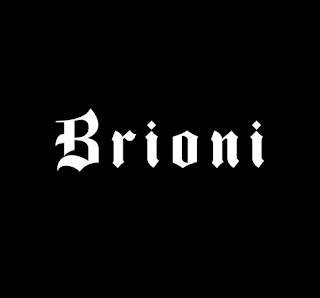 He seemed to focus particularly on Eastern European and Middle Wastern markets where Brioni has continuously struggled over the last years. 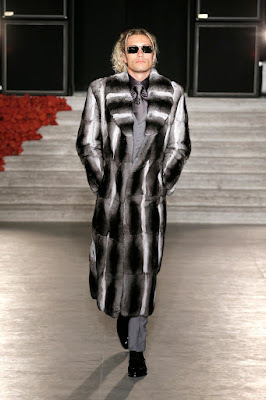 However, the market for long Chinchilla coats is extremely small and most of his designs lacked commercial appeal. It felt a little bit as if O'Shea designed a Capsule collection for his personal wardrobe without paying any attention to market demand. Naturally, this resulted in weak sales and an overall bad performance for the Brioni brand in 2016, causing management to pull the trigger so quickly. 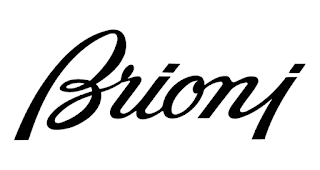 Gianluca Flore, chief executive officer of Brioni, thanked O'Shea for his work and stated that the brand seeks to continue its rujevnation process with a long-term strategy to became a driving force in the luxury menswear category again. Let's hope that this example serves as a case for other traditional fashion houses to make better choices in the future. 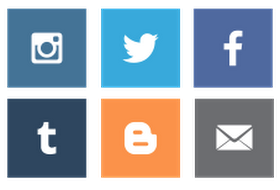 Instead of handing over the entire creative control to a completely untrained Social Media Influencer or Industry darling, it might be smarter to appoint a duo or team that provides formal training as well as a deep understanding of today's market landscape and Digital opportunities.